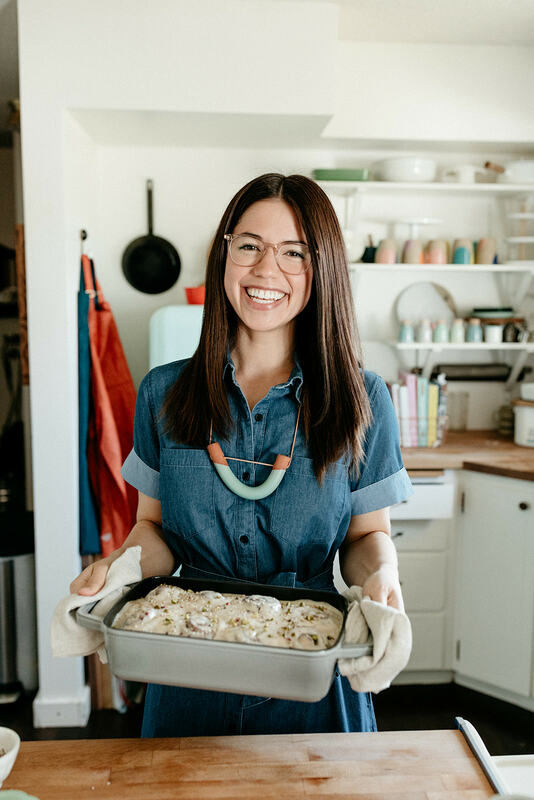 Food Network's Molly Yeh dishes on the Jewish New Year and her favorite bagel. 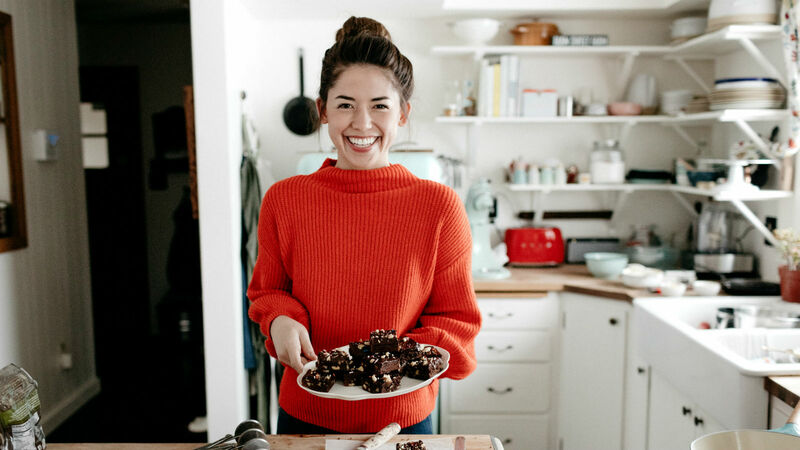 When it comes to celebrating the New Year, Jewish Chinese-American chef Molly Yeh has a few options. 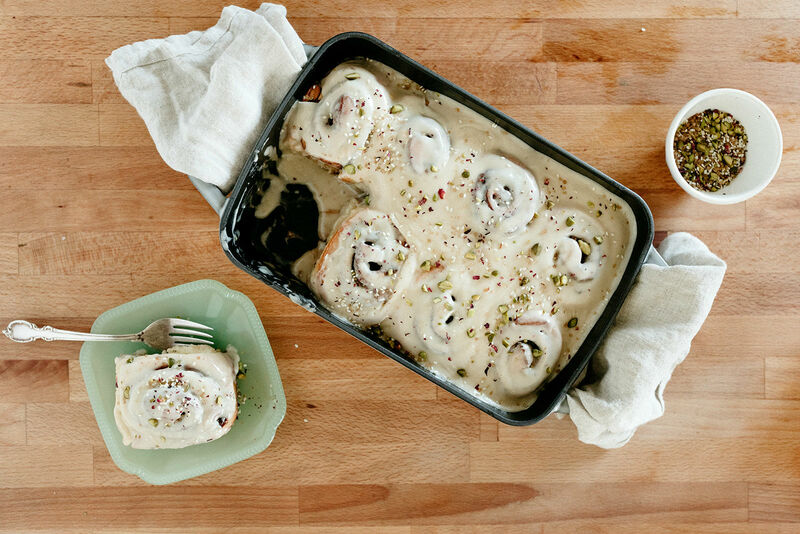 But with Rosh Hashanah around the corner, the 29-year-old is pouring her energy into crafting drool-worthy treats for a sweet New Year (I dare you to check out this delicious tahini cinnamon roll recipe without drooling). We caught up with Molly to talk about holiday traditions, and to settle once and for all which New Year celebration offers the best menu. What’s your favorite part of Rosh Hashanah? Has your celebration changed at all in recent years? My favorite part of Rosh Hashanah is how it’s one of the first signs of fall. It’s usually the first time of the year when I get to say goodbye to summer and then let my homebody sweater obsessed freak flag fly. The house smells like challah and brisket, there’s squash and soup on the table, inevitably something that’s pumpkin spice flavor makes its way into the house, and there’s just this wonderful perfect feeling that cold weather is coming and things are about to get cozy! Since moving to the farm, my celebrations have changed in that I’ve had more of the responsibility of planning our Rosh Hashanah, which is more pressure but I also like being in charge of the menu! And we have apple trees now, so we have endless apples, and honey from our brother-in-law’s bees! As a Chinese American Jew, you celebrate three different New Years. Do you resonate with one specifically or are they all important to you? Forget about the Gregorian calendar New Year, partying isn’t what it used to be in college, so I honestly don’t remember the last time I stayed up past midnight on December 31! Rosh Hashanah is probably the most special New Year to me because we always had such festive wonderful celebrations growing up. The Chinese New Year is a great reason to throw a dumpling party in the dead of winter, so I do love it, however growing up my family rarely celebrated it as a major holiday, so my attachment to it isn’t as strong as it is to Rosh Hashanah. Do you think your platform has had a positive influence on people’s perspectives about Jewish and Chinese culture? I get SO happy when I see people who might not have had many encounters with Jewish or Chinese culture make their first challah or potsticker and post about it and enjoy it! I love being a part of these first encounters with my cultures, and I can only hope that it inspires them to want to learn more or just have an overall more meaningful perspective on them. What was your favorite episode to film for season 1 of Girl Meets Farm? The episodes with my parents. My mom and I made brisket and it was just like how we always cook together in the kitchen, and it smelled like the holidays! And with my dad, I don’t actually cook with him that much, so being able to make potstickers together was a new and hilarious experience! How do you order a bagel? Everything bagel, scallion cream cheese, lox, tomatoes, capers, onions. Sweet and fragrant, this dish incorporates symbolic holiday foods.